Farm Safety Week 2018 takes place from the 16th to 20th July. 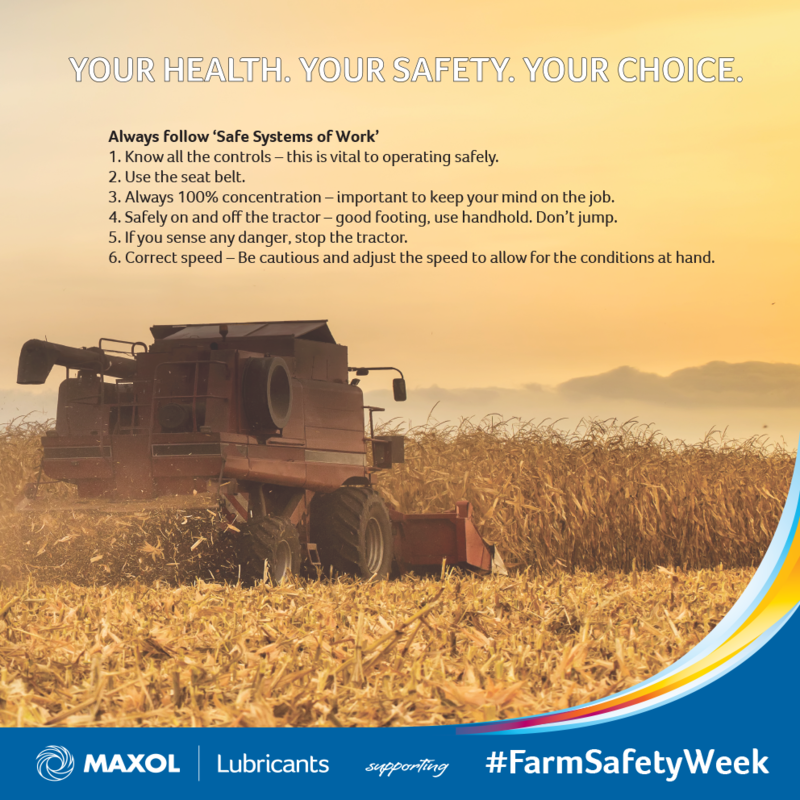 The message for Farm Safety Week this year is: Your Health. Your Safety. Your Choice. Simple human error is a huge factor in the number of farm accidents in Ireland – the operator forgot something, took a shortcut or a risk, ignored a warning, was not paying close attention, failed to follow safety rules or did not maintain the machine in a safe condition. There are many different kinds of farm machinery – mowers, tractors, harvesters, augers, slurry spreaders, balers etc. but they all have similar characteristics and similar hazards. If you sense any danger, stop the tractor.